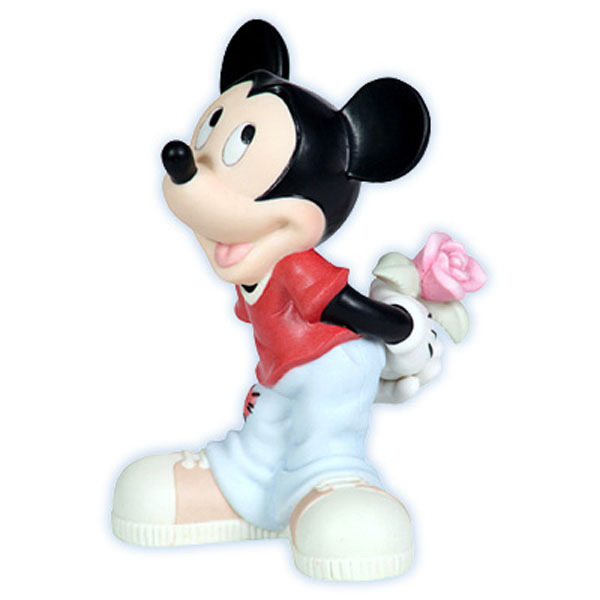 Just like any bashful suitor, Mickey shyly holds a rose behind his back. Waiting for the perfect moment to present it to his sweetheart, it's hard to tell if the rose or his cheeks are blushing more! Perfect for any romantic-at-heart. Bisque porcelain figurine. 4 " H. Disney Showcase Collection. Item#: 113700 - Height: 4 "